More info:1780 price is inclusive of accommodation, breakfast, lunch, dinner and refreshments - transport from and to Thurles train station, 14 riding, organising your very own Itinerary. 2170 price like above + transfer from and to Shannon or Dublin Airport. 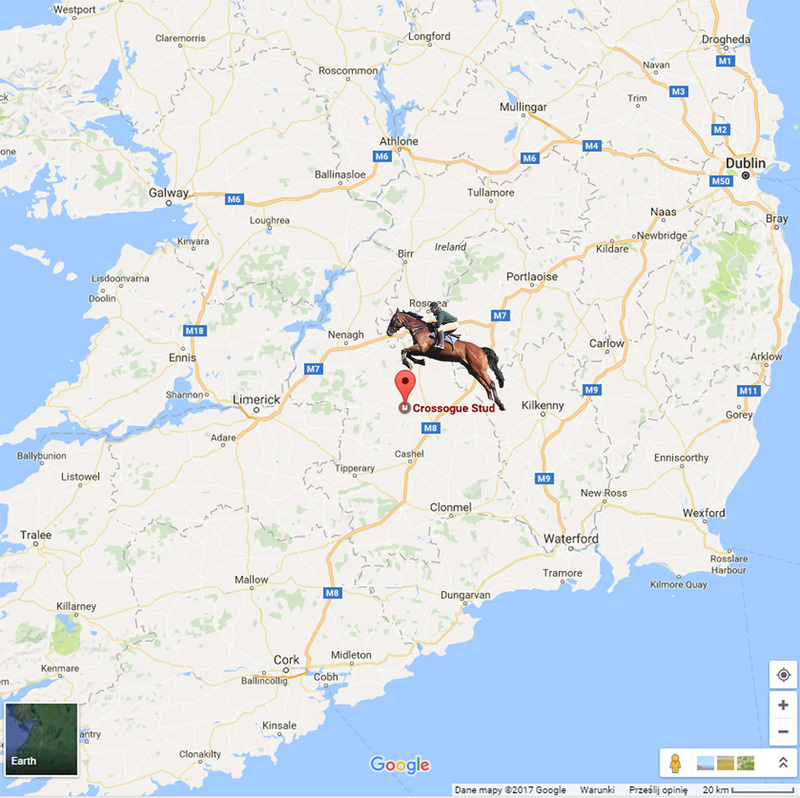 This tailor made Ireland horse riding holiday is based in a listed Georgian guest house on a working horse farm, near the beautiful town of Thurles. Here you’ll get all the attention you need to design a personalised trip, based previous riding experience and personal preference. Expert tutors specialise in riding in open countryside and will provide guidance during your rides. You decide whether you want to ride twice a day, mix daily rides with sightseeing or even enjoy days out of the saddle. Optional activities include tennis, badminton, walks on the farm and organised team activities. This is a sociable experience and everyone gathers around in the evenings to eat home cooked meals, including vegetables from the garden. It’s the perfect opportunity to discuss the day’s events with your fellow guests. En suite rooms, private rooms with shared bathrooms and dorm rooms are all available, and groups of eight people or more can book the venue exclusively. We are approved and a member of the Green Hospitality programme. We strongly believe in working as closely as we can in harmony with nature. Domestically we have an energy saving and a recycling policy in place and all our heating and hot water needs are provided by a log burner, using logs from fallen trees and thinning from our forestry. As we have a planting programme in place, this is a totally renewable source of energy. On the farm, we use straw for bedding which given time to decompose, is then used to fertilise the land. All waste from the maintenance of the pleasure grounds are composted and used as fertiliser for the shrubs and plants. Meals are a focal point of the day at our guest house when guests get together to talk about the day’s exploits. Good home cooked meals using local and fresh produce, including from our vegetable garden when possible, are a big part of the experience. We are working horse farm with a number thoroughbred broodmares and many of their young stock on the farm. The limestone land of the region is famous for producing quality horses for all disciplines, but our passion has been to produce good steeplechasers over the years. We sell some of our foals, while others we keep on until they are 3 year olds when they will be sold or kept at here for racing. The horses we keep spend their lives in herds, on rotating pasture throughout the year. This is as one with nature and we believe that this allows them to realise their full potential, mentally and physically before embarking on a career in racing. Our mares also live outside all the time, just coming in to foal in the Spring, before returning to the broodmare herd with their foal. It is a wonderful part of staying here, watching mares and foals grazing on the rolling pasture while on walks about the farm. Many guests have even witness-ing a foal being born during their stay! We reusing and recycling paper, in our guest house you will find two different bins for wet and dry waste. Because we take care of environment our marketing policy is based on social media and e-commerce marketing, we don’t use brochures, flyers, leaflets, pull-ups. Our Holidays are in 100% Eco-Friendly, and we are trying to keep everything how it was 50 years ago. Holidays are run by Mark Molloy, one of six children who grew up on the farm. Mark’s parents Tony and Veronica also live on the farm and run a well known and award winning preserves company which produces an extensive range of handmade preserves. These exciting flavours are sampled by our guests on a daily basis! This has always been an open family home with people and horses being an integral part of day to day life. This has not changed and our guests have a real sense of being part of it all. It is a pleasure to share our way of life with guests from around the world, many of whom become regular visitors and friends. 2016 marks 25 years since we had our first guests, it has been a truly wonderful journey to date and we hope to continue to build on this by seeing lots of regular faces as well as new ones in the years to come! To support our economy and local community, we use local brands and hires local people to work. Family business includes production of preserves made in small batches, exactly as you or I would in our own kitchens. Six pounds of fruit is used at a time so there is no large-scale production. It’s obvious that the highest quality ingredients combined with traditional cooking, without using any artificial colourings, preservatives or flavourings, gives a product that is not only unique but has a distinctive flavour.